As pharmaceutical companies acknowledge the high failure rate of successful drug development due to animal tests, the tide is beginning to turn. Organs-on-Chips offer a way to produce human-centered results at much lower cost and without the suffering and deaths of millions of animals each year. 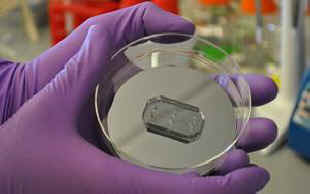 The promise of organ chips to revolutionize drug development while moving away from animals continues to expand. The chips – miniaturized complex cell cultures using human cells and tissues – offer a way to evaluate new drugs using human-specific criteria, better predicting the human response to drug candidates. In June 2015, Emulate Inc, an outgrowth of Harvard’s Wyss Institute, entered into collaboration with Janssen Biotech, Inc., a pharmaceutical branch of Johnson & Johnson ("Janssen"). 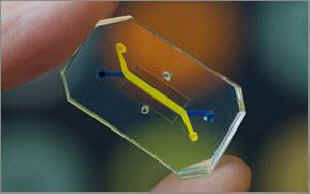 The goal of the partnership is to utilize Emulate's Organs-on-Chips for several of Janssen’s drug development programs. The chips are about the size of a computer memory stick and contain tens of thousands of human cells that line tiny canals which are bathed in a continuous flow of nourishing fluid, much like blood. The result is a miniaturized system that can predict human physiology with greater precision than animal tests. Emulate was formed in 2014 as a commercial offshoot of The Wyss Institute to facilitate distribution of Wyss’s Organs-on-Chips to pharmaceutical and medical product companies. Janssen will employ Emulate’s Thrombosis-on-Chip to evaluate drugs that may cause thrombosis (formation of blood clots), a potential side effect of many drugs, especially immune therapeutics used for cancer treatment. Researchers at Emulate have successfully demonstrated the ability of the Thrombosis-on-Chip to mimic the intricate physiology of clot formations, including tissue-blood cell interactions, blood flow, and mechanical interactions of clot formation. Additionally, Janssen will combine it with Emulate’s Lung-on-Chip technology to examine the potential for drugs to cause pulmonary thrombosis (lung clots). The partnership will also utilize Emulate’s Liver-on-Chip to screen drugs for liver toxicity, one of the main causes of drug failures. The Organ-on-Chips technology developed at The Wyss Institute is a marvel of modern bioengineering, creating a cell-level system to more closely resemble the living human body than animal experiments. In a February interview, Donald E. Ingber, the director of the Wyss Institute, described his reasons for developing the organ chips over the course of two decades: "I saw that one of the biggest problems in medicine is that the drug development model is broken, and that a big part of that is our reliance on inaccurate animal models." The latest collaboration between Emulate and Janssen is part of an emerging trend in which cutting-edge biotech firms and pharmaceutical companies team up to utilize the latest non-animal technology to enhance drug development. 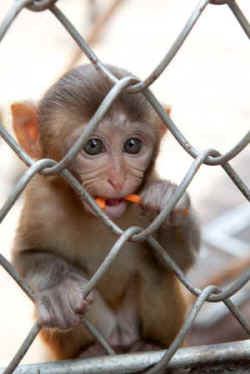 In May, Merck teamed with up Organovo to utilize its liver chip in drug development and in April, the Australian drug company Benitec Biopharma Ltd entered into a collaboration with CN Bio Innovations, a UK start-up, to utilize liver chips to test the effectiveness of drugs to treat hepatitis B, commonly tested on monkeys.